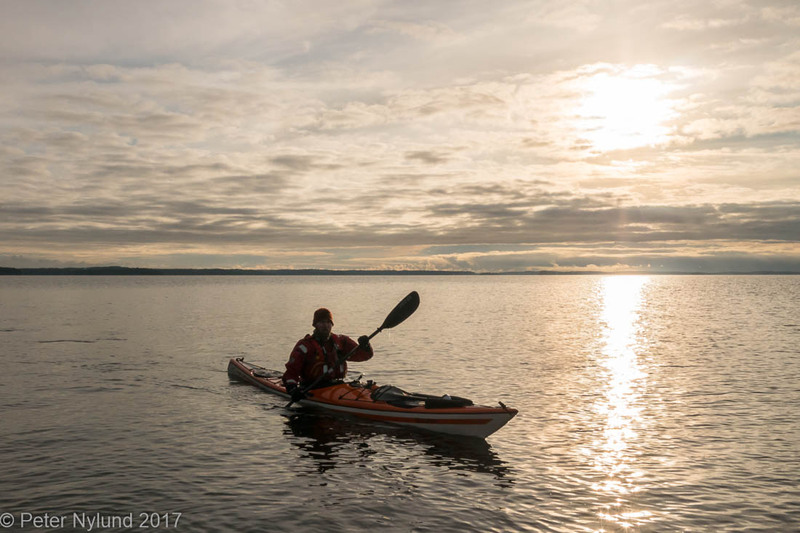 A quick recall: I've been through several kayaks the last few years for different reasons, and it's all documented here in the blog. 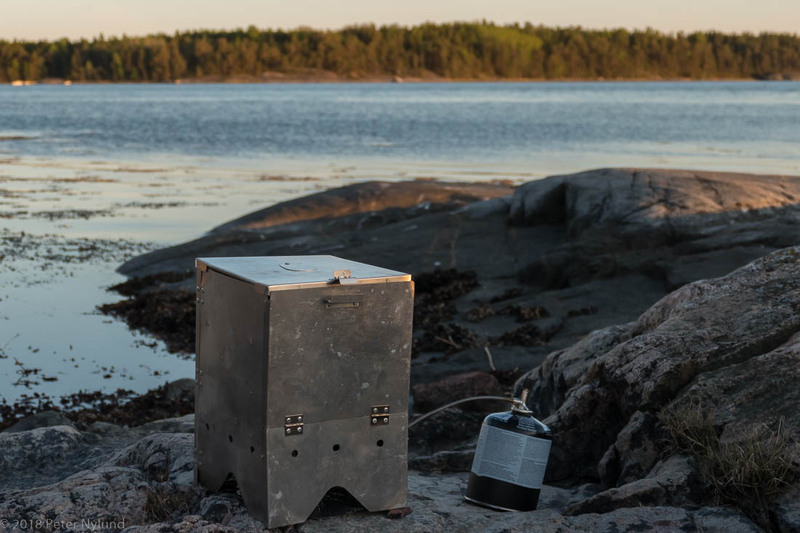 I ended up ordering a Skim Beaufort directly from the factory in Kokkola after having tested it in Hanko Sea Kayak Gathering in August 2017, with a few modifications made for me. I've now had it for day trips, some overnighters, a few weekend trips as well as for kayaking instructing. 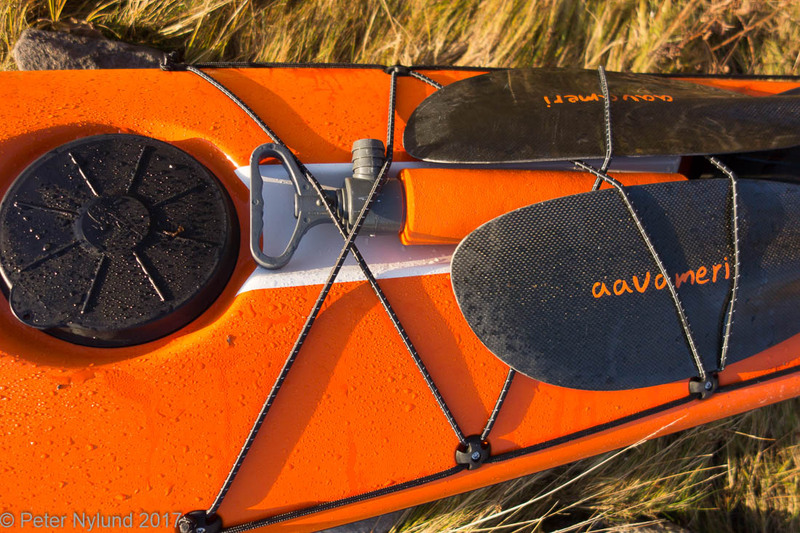 Big waves, hard weather and longer trips are still untested with it. The other customization was moving the front bulkhead and footpegs 2 cm further forward than the default position, for my long legs, and moving the cockpit rear bulkhead 2 cm back, to get space for a paddle float, tarp or whatever. This also turned out to be a good call, since it is now possible to use a sponge to remove the last of possible water in the cockpit. With the bulkhead in the default position it would be tight. I also ordered a compass with the kayak, but didn't specify the exact location where I wanted it. It was mounted a bit to far away, but it was easy to move it to the position I wanted. 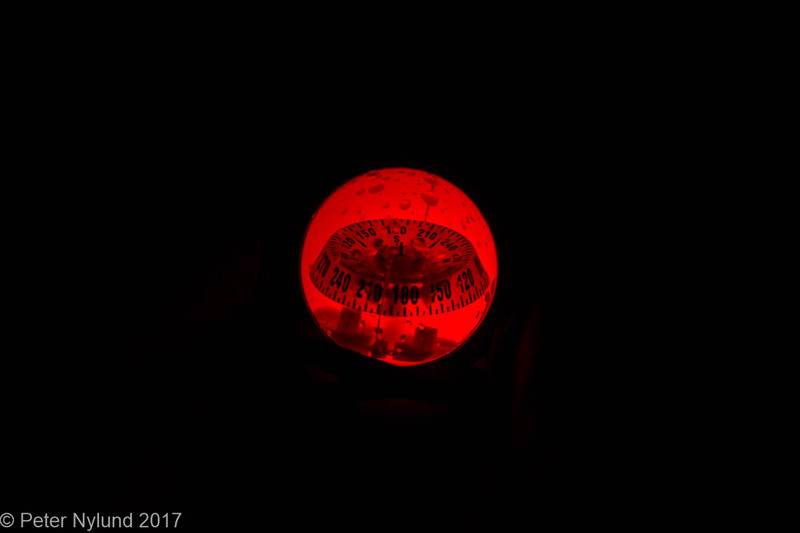 The compass has a builtin light, which is nice. 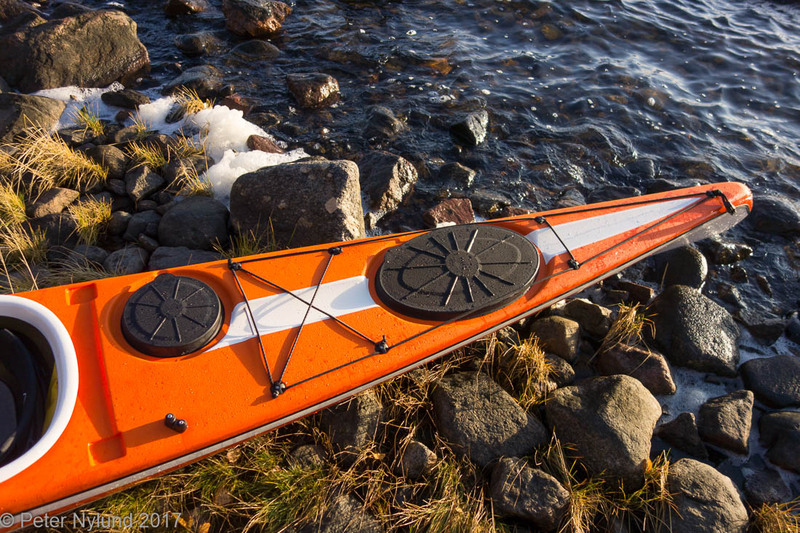 It is well protected during rescues between the paddle halves in the spare paddle holder. The Skim Beaufort isn't especially big when it comes to the dimensions, 513 cm long and 53 cm wide, but it does have plenty of space for my 192 cm and 100 kg. Many paddlers have much too big kayaks, but I'm not one of them. Despite the moderate outer dimensions, there is plenty of cargo space in the Skim Beaufort. I guess it is slightly higher than many kayaks, though the rear deck is still quite low. The big oval Kajaksport hard hatches both front and rear are excellent and make it easy to get larger items packed. 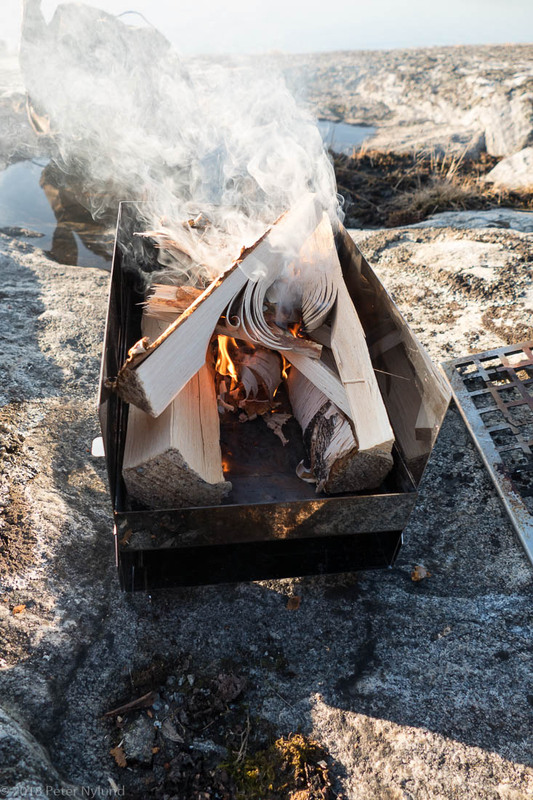 No problems to get the pizza oven or a larger wood stove with firewood packed, there really is a nice amount of space. Longer trips should be no problem and I don't think you can find British style kayaks with much larger cargo space. The small hatch in front of the cockpit is also nice and the day hatch behind the cockpit has the correct sized opening, not a too small one as in the Seabird Scott. The most important thing with a kayak, however, is how it works. And the Skim Beaufort does work well. It is very comfortable and the seating position is very close to what I had in the Aquarius Sea Lion, which I liked a lot. It allows having the legs fairly close to each other and at a good height. No frog position as in wider kayaks. I know of people who have not been too fond of the standard Kajaksport seat in the Beaufort, having instead opted for the Skim made seat used in other Skim models, but I haven't had a problem. 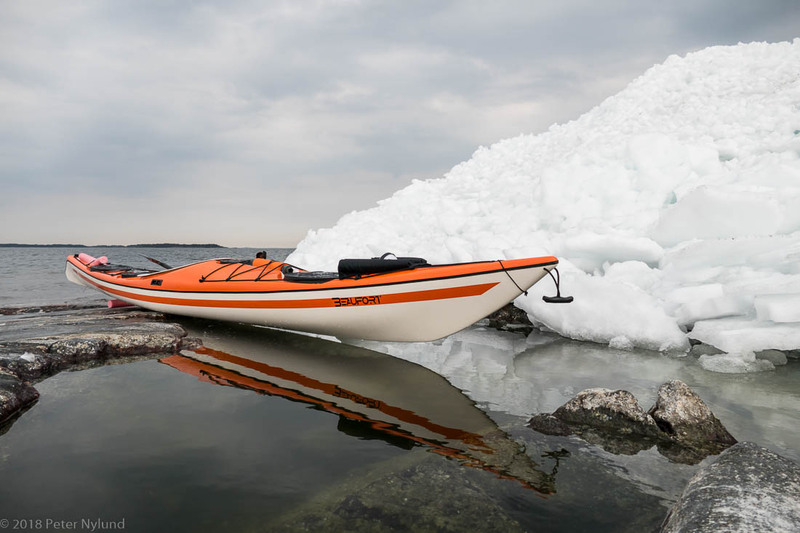 The kayak is also narrow enough that the paddle can be planted close to the kayak without it hitting the kayak, something which was a bit of a problem at first in the much wider Capella 173. 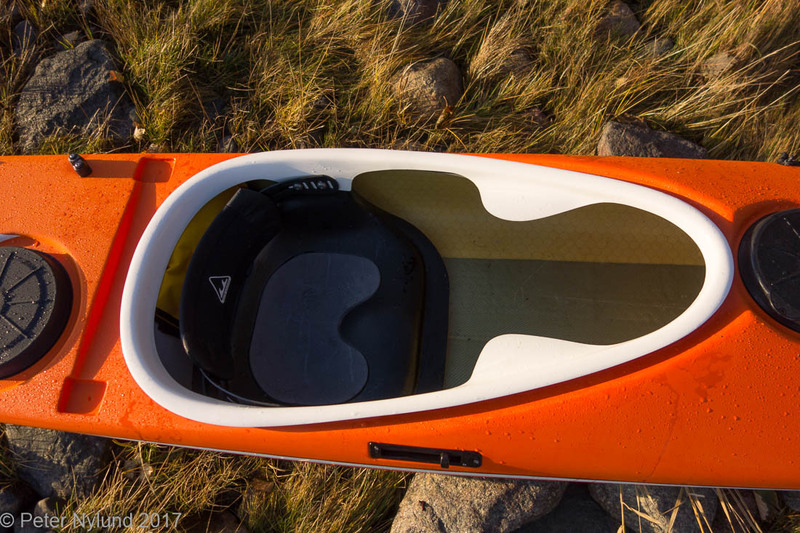 The back rest is low and gives support for the lower back without locking the body or affecting mobility in the kayak. This far it feels very good. There is room for size 47 boots, but probably not much larger. Skim Beaufort has a good cruising speed, in spite of the limited length. 8 km/h is still relatively easy and the resistance start to increase a bit after 8.5 km/h. 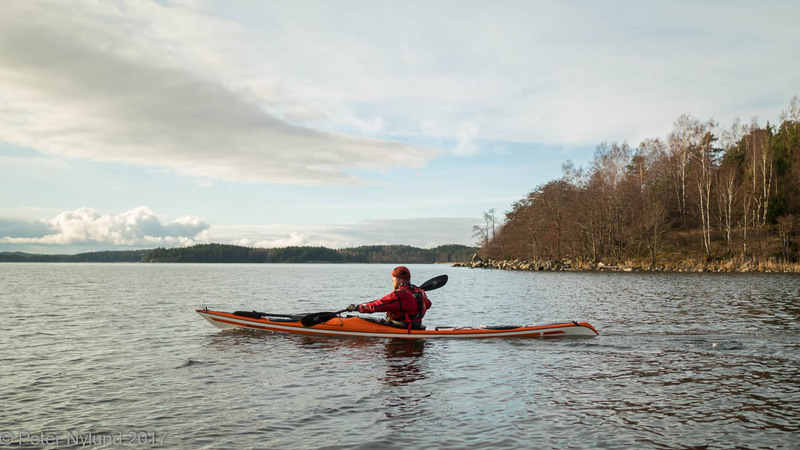 The kayak has a livelier primary stability than flat bottomed playboats, but it is still solid. And the secondary stability is very good. I haven't yet had the opportunity to try out big waves and have only sought up places with cross waves and clapotis to get at least some feeling of it. 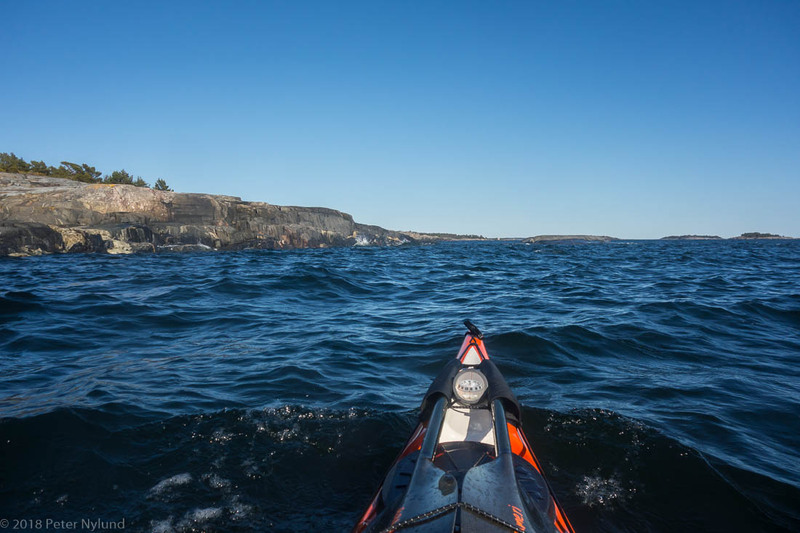 The kayak seems to behave in a very predictable manner and I think you can feel that the moderate V bottom perhaps is affected by waves a little less than flat bottomed kayaks. The Beaufort is sort of a compromise between a cruising and a play boat. It tracks more straight than a play boat and also does not carve as tight turns. It does however turn pretty well when edged. The secondary stability allows it to be edged far enough to get the spray deck under water. It is easy to roll and the back deck is low enough that I can get my back almost all the way down to it. The failed hand roll in the next video is entirely due to me, I couldn't get it to work this year in my other Seabird Scott either, which I did last year. Generally speaking I haven't actually been too eager to learn all sort of other rolls, due to being careful with my lower back. My screw roll, however, is pretty bombproof, at least 99/100, probably even better. 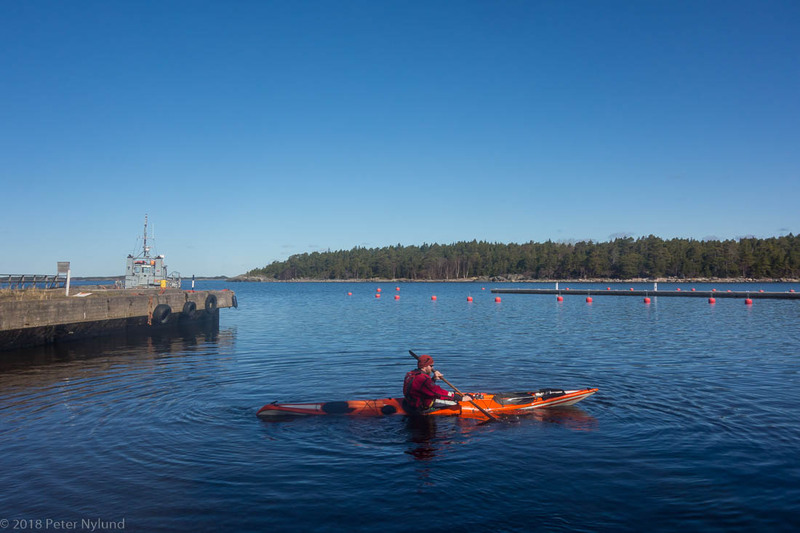 This far the kayak has been what I wanted and expected and it definitely is a kayak I could take for paddling the entire Finnish coast, should I ever get enough time for that. About this review: I don't beg for things to review, as a number of bloggers do. Rarely do I even review anything and then I'm only reviewing things that I've bought with my own money, which also means that everything I review has seemed good enough for me to buy in the first place. 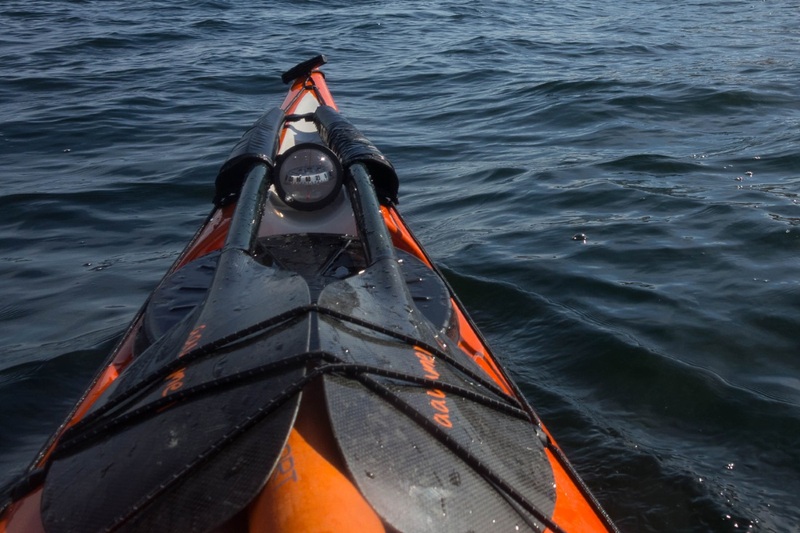 I have paid a lot of money (in my opinion) for the kayak, as for the other kayaks I've had before. The opinions are entirely my own, but I do think they carry some weight. Looking at my previous kayak reviews, it should also be clear that I have no problems pointing out things that are not to my satisfaction.